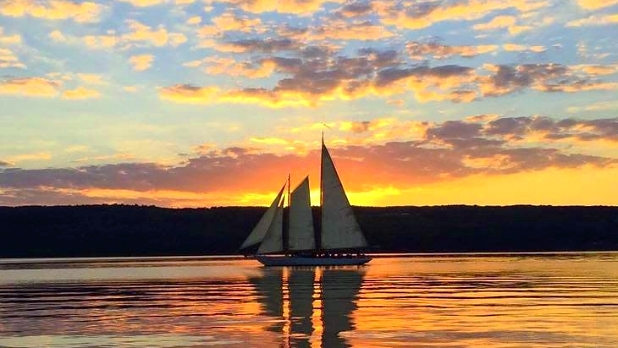 Sunset (times vary based on season): Schooner Excursions, Inc.
Chase the sunset during a peaceful sail of Seneca Lake. Even if you’re not familiar with the 1956 movie High Society, in which the Schooner sailing vessel named "True Love" guest stars along with Grace Kelly and Frank Sinatra, you’ll fall truly in love with this area and be assured right away how great your weekend is going to be. On some evenings, Schooner Excursions offers the specialty tour “Sails and Ales” (featuring local craft beers and hor d&apos;oeuvres onboard). 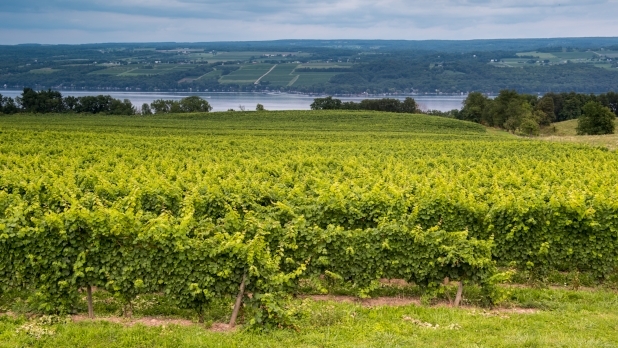 The “Finger Lakes Wine and Wind on the Water” tour is back for 2019, featuring local wines, cheeses from Sunset View Creamery, and appetizers). Reserve ahead of time. 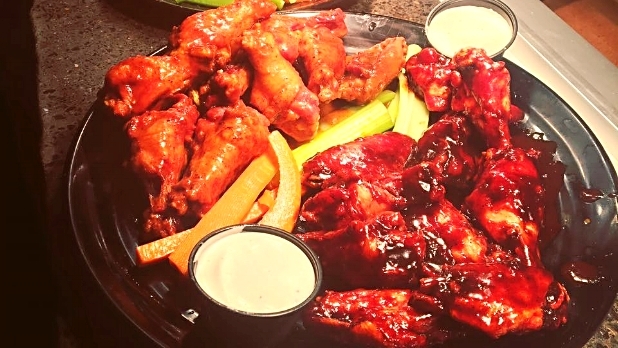 On select Fridays, Nickel’s Pit BBQ has live music, but on all days, they have some of the best barbecue in the area—from classics like brisket and chicken to fried ribs (aka “pig wings”) and fried jalapenos…can’t decide? Try Nickel’s Split BBQ (pulled pork, brisket, kielbasa, smoked turkey, ¼ chicken, ¼ rack, 5 wings, 3 pig wings, 2 sides, and cornbread) or choose between the pulled pork, brisket, kielbasa, or turkey with the Choose 3 combo. Grab delicious fresh pastries (like breads, cinnamon rolls, and croissants) and a cup of locally brewed coffee and walk two blocks north to Seneca Lake to enjoy the morning calm before your busy day. If you’d like something more hearty, peruse Glen Mountain Market’s menu of breakfast sandwiches like “The Boss” (a farm fresh egg, bacon, pepper-jack cheese, onion, banana peppers, tomato, and hoagie sauce in a wrap) or “The Freak” (a farm fresh egg, turkey, gouda, and chipotle hot sauce on a bagel). Watkins Glen has a great history of car-racing under its belt. The first American road race after WWII was held here and was known as “the Day the Trains Stopped” because rail service was suspended so racers could drive over the train tracks on the course before Watkins Glen International was built. Before experiencing the famous track yourself, learn more about this history at the International Motor Racing Research Center. 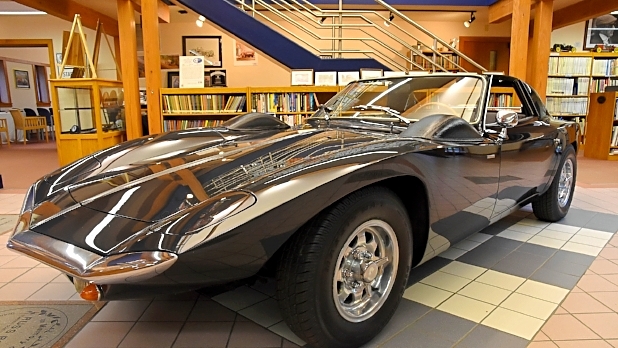 With free admission for all, visitors can peruse the extensive collection which includes historic photographs, film, oral histories, memorabilia, racing artifacts, and records of famous drivers. Check the schedule at Watkins Glen International to see what events you’ll encounter during your visit. 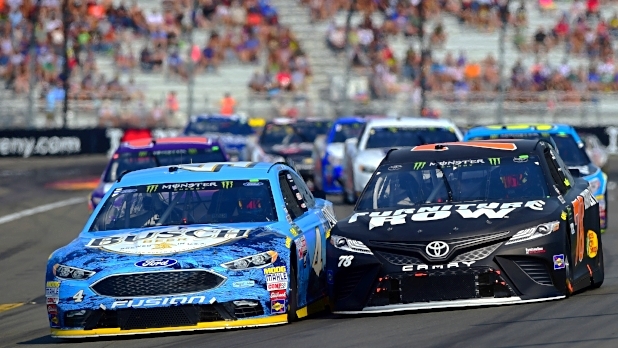 During summer months, catch racing events such as Sahlen’s Six Hours of The Glen in June and Go Bowling at The Glen in August (the only NASCAR race in NYS). September brings the Hilliard United States Vintage Grand Prix. On non-racing weekends, you might find a special event like Finger Lakes Wine Festival or Ticket Galaxy Beer Festival, both featuring the bests of NYS’ beverage scene, or drive around the racetrack yourself as part of the “Drive The Glen” program. Buy tickets ahead of time. After all that action, you’ll want to relax, and what better way to do so than with a glass of the Finger Lakes’ famous wine in hand? You’ll find more than 30 wineries up and down the shores of Seneca Lake, many with tasting rooms with spectacular views. Try the sparkling wines and Rieslings of Glenora Wine Cellars, the inspired-by-nature wines of Chateau LaFayette Reneau, or the selections at the family-run (& family-friendly) Lakewood Vineyards. The menu at Stonecat Cafe has changed frequently over the last 20 years, as Chef (and owner) Scott Signori uses local ingredients, delivered daily from area farms. 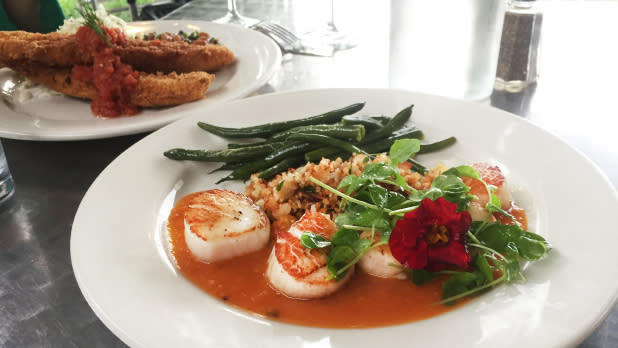 To whet your whistle, previously featured dishes have included chicken under a brick, scallops, cornmeal-crusted catfish sandwiches, and duck confit. The chef recommends a paired beverage (including local Finger Lakes wines) for each item and lists out which farm each ingredient comes from so there are no surprises—aside from how delicious everything is. Reservations are highly recommended. A local favorite with a cool story (a doctor-turned-chef! 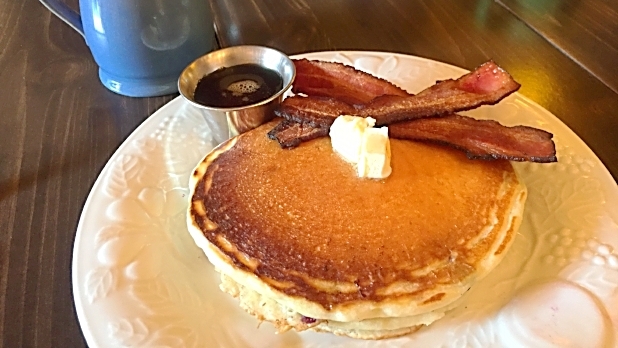 ), Berta’s Cafe is a delicious breakfast for the whole family that is affordable and made from scratch in a cozy atmosphere that makes you feel like you’re in a friend’s home. Try the pancakes (buttermilk or blueberry) for just $3 a pop or the breakfast taco (a homemade corn tortilla with a fried egg, cheese, guac, pico de gallo, and your choice of protein). Grab some scones to reward yourself after your final activity. 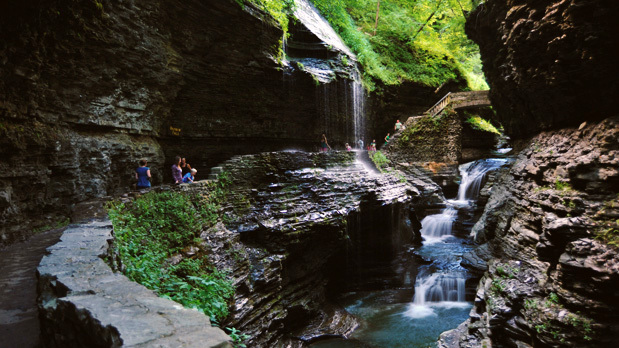 Before heading back home, get a few more glimpses of the beautiful nature in this area at Watkins Glen State Park, one of the top state parks in the country, according to readers of USA Today. Climb up and down and in between rocks that are more than 300 million years old on the easy stone pathways of the 2.4-mile-long Gorge Trail, passing 19 (!) 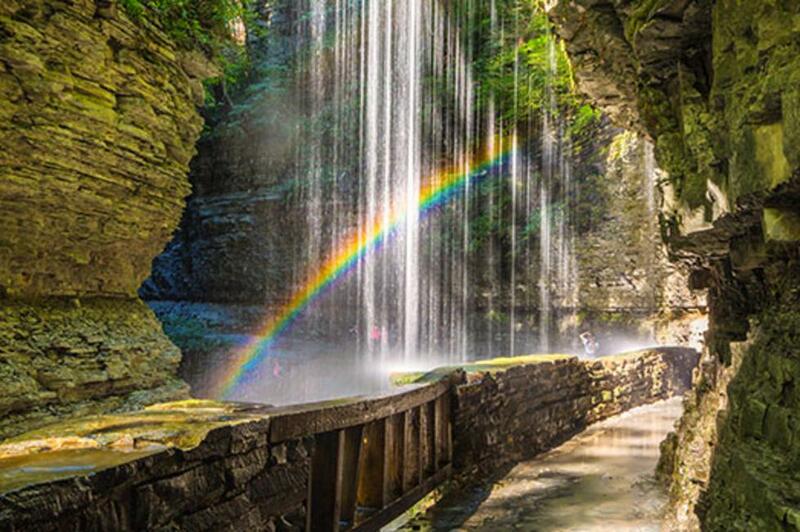 waterfalls along the way, including some you can walk behind or under—like the famous Rainbow Falls. If it’s a hot one, we wouldn’t judge you for hanging out by the waterfalls, but you should also know the park has an Olympic-sized pool.